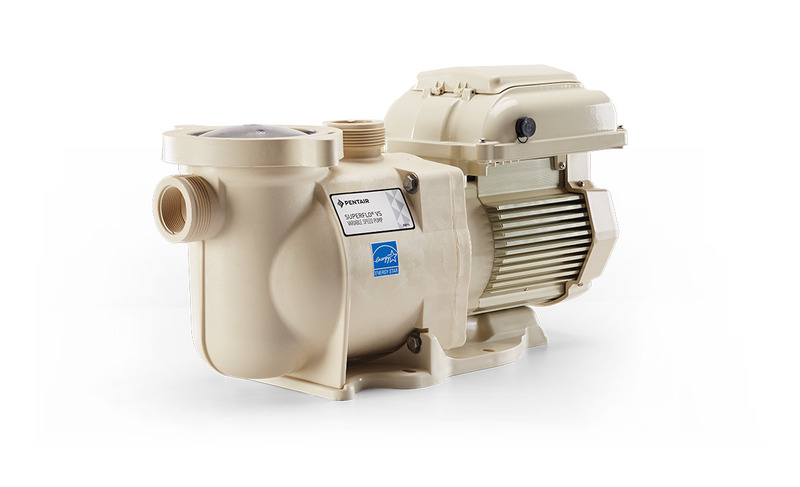 The SuperFlo pump is one of the most efficient and quiet products of its kind. It’s also the result of 40 years’ worth of hydraulic engineering, so it’s rugged and versatile as well. The SuperFlo pump moves water more efficiently and with a lower operating cost than other pumps. It boasts a commercial grade motor at a consumer price, with several horsepower options to ensure efficient energy consumption. There’s even a see-through lid that allows for easy inspection of the strainer basket. 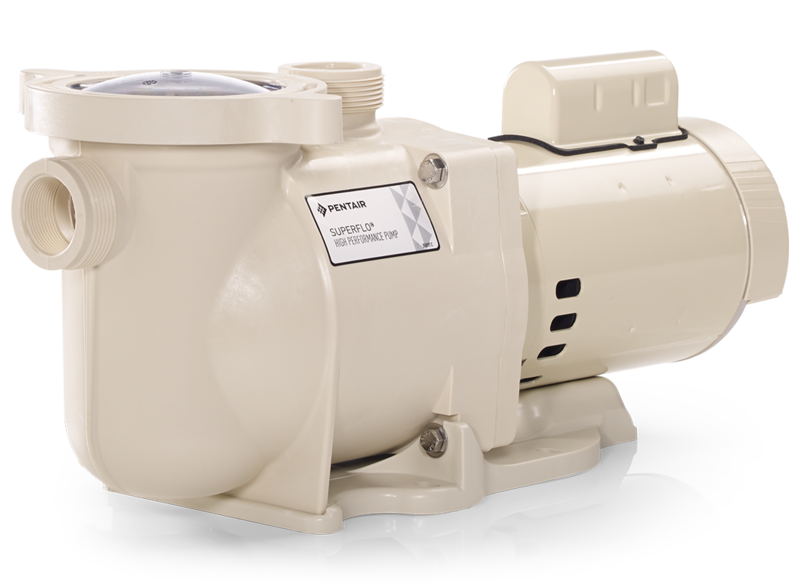 New SuperFlo VS Variable Speed Pumps cut down on energy costs by moving water more efficiently at lower speeds. Pool owners can save as much as 80% or up to $1,300 each year when using the SuperFlo VS. Conventional single-speed pumps can’t provide the same level of efficiency. 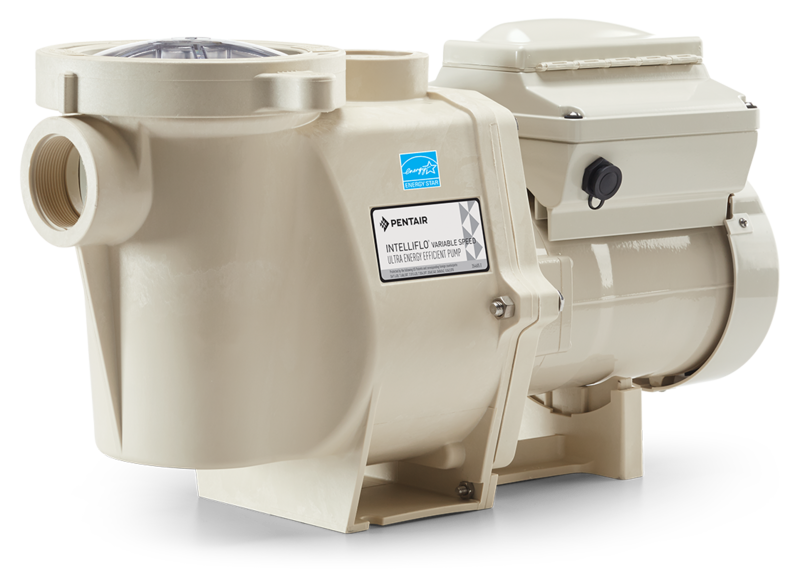 The SuperFlo VS is also ultra-quiet and perfect for pools that need up to a 1.5-horsepower pump. The IntelliFloXF Variable Speed Pump is another great option for energy-efficient water filtration. It features an intuitive user interface that makes programming a breeze. For larger pools that boast custom features and require extra horsepower, this pump is ideal. Eight programmable speed settings ensure maximum efficiency. 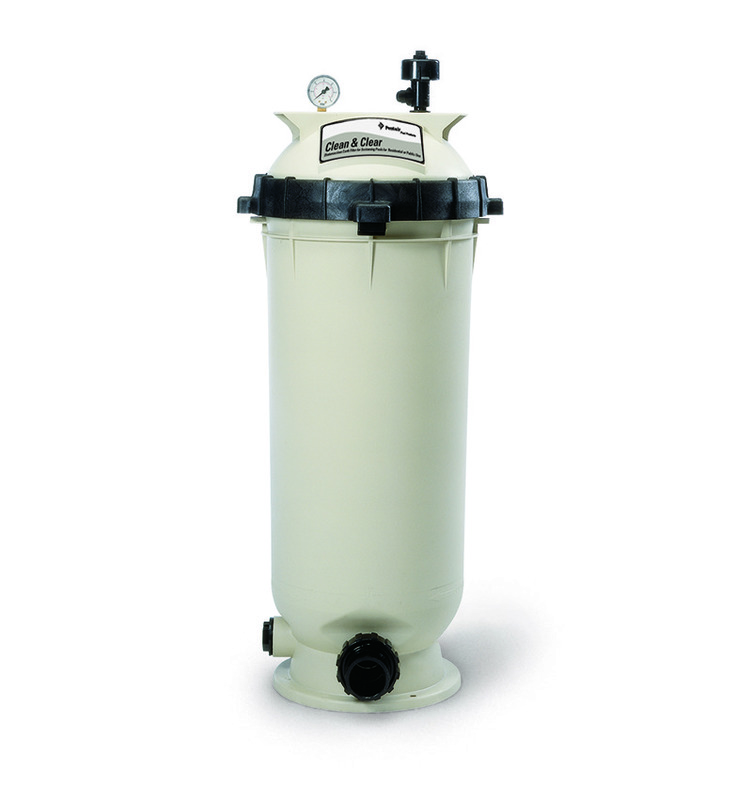 Long-lasting Clean & Clear Cartridge Filter with fiberglass-reinforced, chemical resistant, polypropylene tanks are among the simplest to maintain. The easily accessible cartridge can be rinsed clean in minutes with a garden hose. 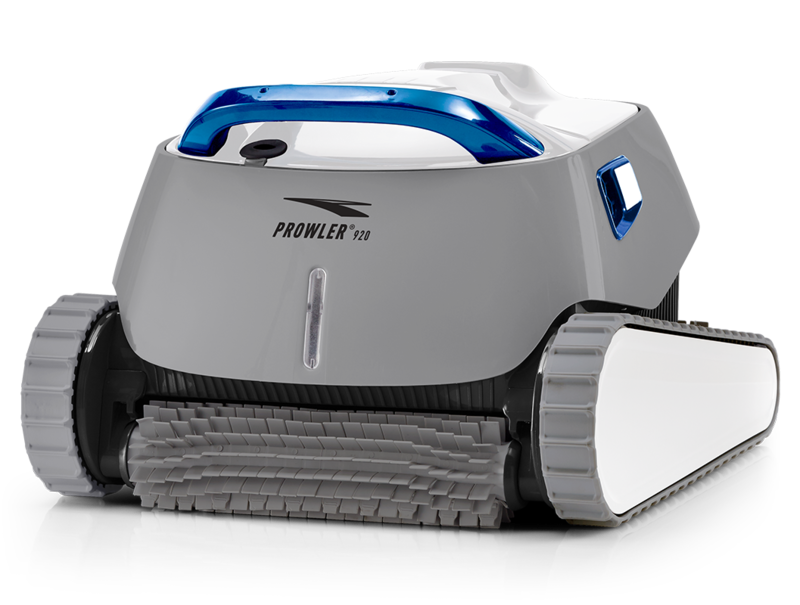 The Kreepy Krauly Prowler 920 is another powerful option for deep cleaning with a high-speed scrubbing brush and customizable filtration. It scrubs and vacuums all the way to the tile line with programmable daily cleaning schedules. 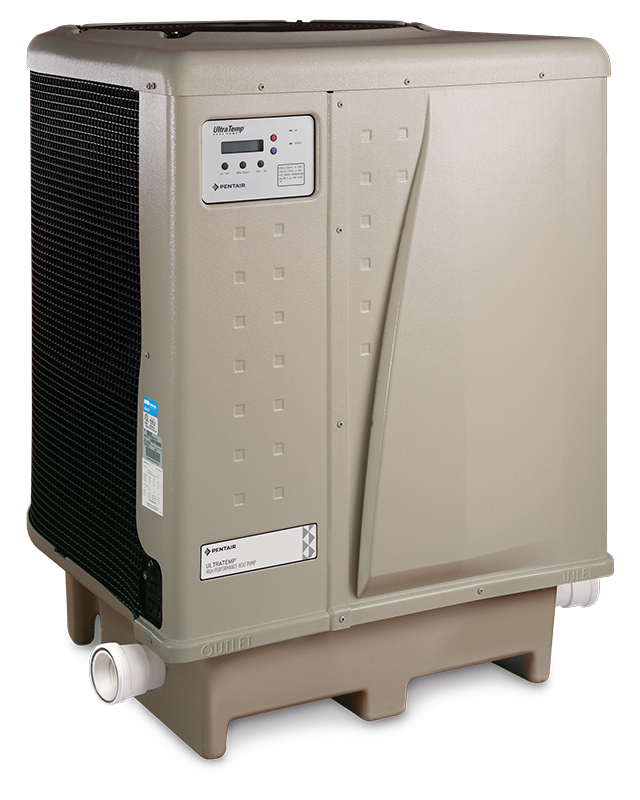 Pentair’s UltraTemp heat pump is the most economical way to heat an in-ground fiberglass pool. The UltraTemp uses an ozone-friendly refrigerant along with a pure titanium heat exchanger for long-lasting, corrosion-free performance. An intuitive LCD control board makes it easy to customize settings, including water circulation and defrost features. The UltraTemp’s efficiency has been independently certified by the Air-Conditioning, Heating and Refrigeration Institute (AHRI). GloBrite offers some of the most vivid white LED lights on the market. 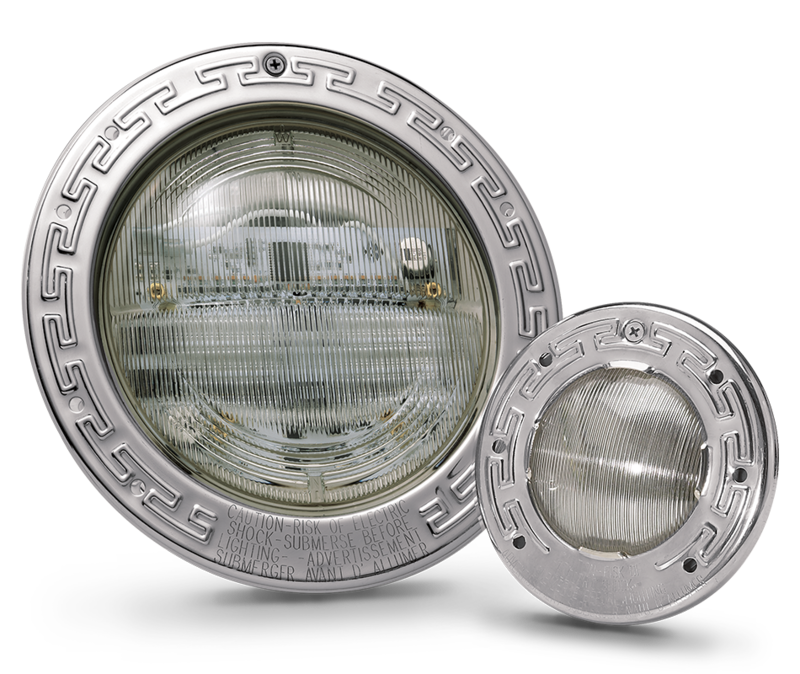 They feature an extended service life and two dimming levels to go along with their remarkable energy efficiency. Perhaps most impressive is the fact that GloBrite white lights are equivalent to 190 watts of incandescent lights. 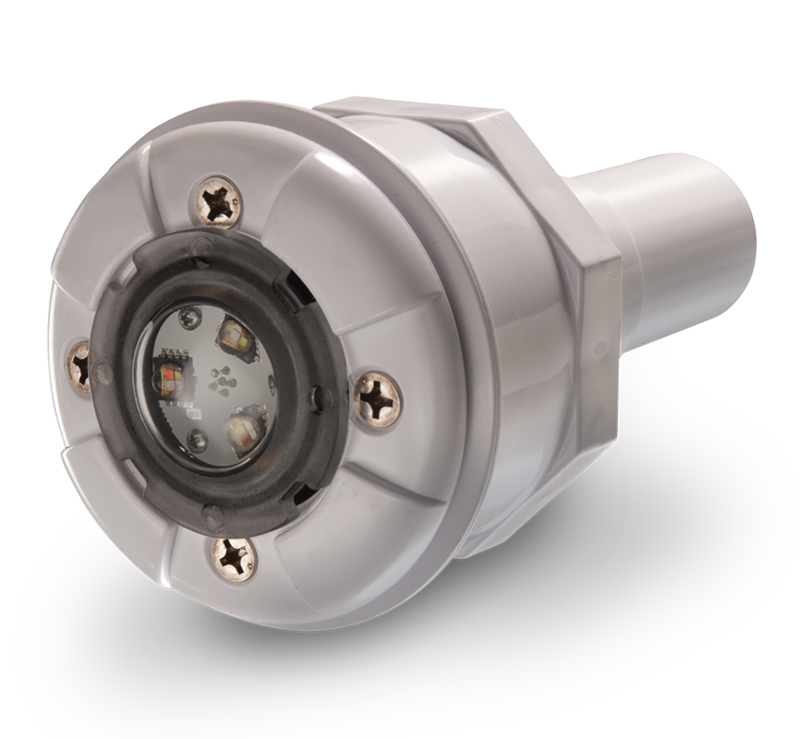 They’re easy to install, compatible with a range of control systems, and don’t require grounding. 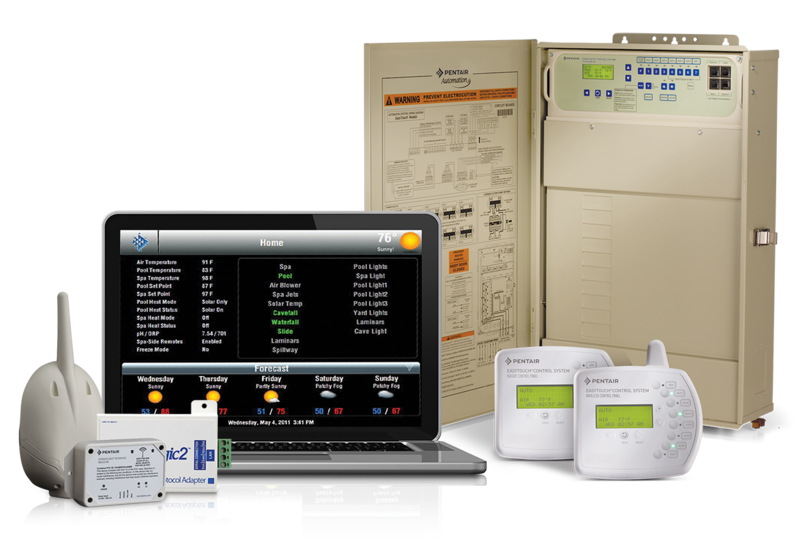 Pentair’s automation systems empower pool owners with full control of their pool ecosystem, including pool pumps, heating products, sanitizing, water chemistry, water features and lighting. With mobile device control from anywhere in the world with the push of a button—pool convenience has never been easier.